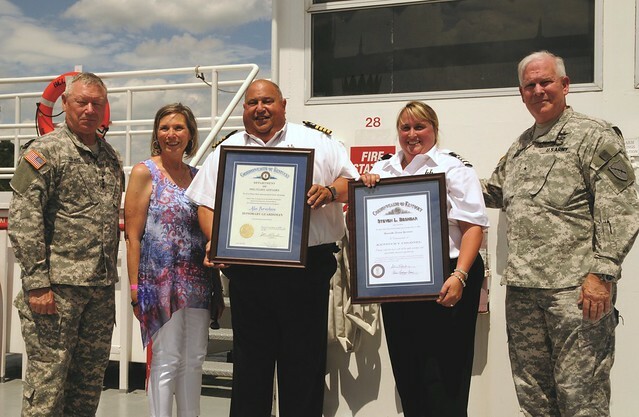 NEWPORT, Ky. — The Belle of Cincinnati hosted 600 Gold Star family members for a cruise along the Ohio River, June 14, in an effort to provide support, assistance and care. 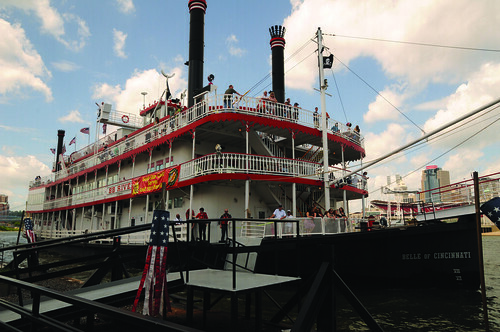 For Terri Bernstein, co-owner of B&B Riverboats which operates the Belle, the Ohio River cruise is somewhat of a family reunion. Bernstein is a Gold Star Wife whose husband, Kentucky National Guard Staff Sgt. Nicholas Carnes, died Aug. 26, 2007, in Afghanistan. He was assigned to Battery A, 2nd Battalion, 138th Field Artillery Regiment, and was a captain for B&B Riverboats. “Fallen families are near and dear to my heart,” she said. “Supporting them makes me feel better. “We’ve had more attendance than last year and I plan on putting this on (every year) if families keep coming,” she said. Mark Grant, the Kentucky National Guard Survivor Outreach Services coordinator, said the SOS program exists to help serve the surviving families of the fallen by keeping them connected with the Army, and Kentucky National Guard, for as long as they desire. This is the second year for the SOS cruise, and passengers agreed that the one-day event is somewhat like a therapy session. 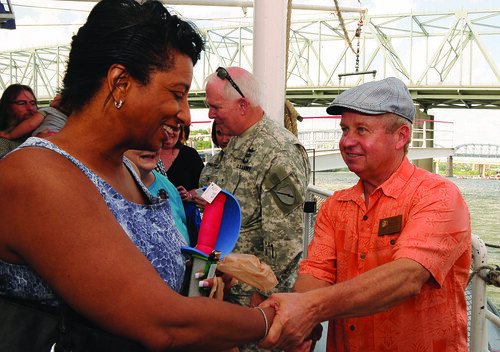 For Leslie and James Groves III, natives of upstate New York, the Flag Day cruise was to honor their son, Chief Warrant Officer 3 James E. Groves III, an active duty helicopter pilot assigned to 3rd Squadron, 17th Cavalry Regiment, 3rd Combat Aviation Brigade, 3rd Infantry Division, who died in 2013, in an OH-58 Kiowa helicopter crash. “James decided that the Army was the best choice for him and we are very proud of his service,” said the elder James, a former Army Reservist. That pride, according to Leslie, is something that was shared by each of the survivors; along with the grief. “We’ve all been through the process of getting that call, receiving a flag, and going through the grieving process,” she said. “This actually makes for a much stronger bond and support group. “This boat ride has allowed us to get together and meet new families and build friendships, and we are very grateful for it,” she said. The cruise was free, and included food provided by the Cincinnati-based Gold Star Chili restaurant. Surviving family members from eight states participated in the event, which also included activities from the Kentucky National Guard Youth and Family Programs. Among the honored guests were Gen. Frank J. Grass, Chief of the National Guard Bureau, his wife, Pat, and assistant adjutants general from Kentucky, Tennessee, Ohio and Indiana. The Gold Star tradition dates back to World War I, when mothers of fallen Service members would change their blue service stars, in the windows of their homes, to gold. For more information about the Gold Star programs, log on to www.goldstarfamilyregistry.com. For information about Survivor Outreach Services, visit www.sos.army.mil.